Apologies that this is a little later than normal but it has been a manic start to the new year, both personally and professionally. However, as yet another running year passes by, and what a rollercoaster it has been, it is time to take a look back at 2018 and forward into 2019. This time last year I was not running at all, nursing my way back to fitness from a stress fracture in my pelvis, which was identified in late 2017. All race plans for 2018 had been canceled, with the exception of my Lakeland 100 entry. I was fairly pragmatic about my recovery and in my objectives for the year simply listed two: sort my running out and sort my diet out. Roll forward twelve months and my return to running outstripped even my wildest expectations. I started the year on an indoor bike, trying to keep my aerobic fitness up until I finally got the all clear to tentatively start running again during March. For the next ten weeks, I followed a structured return to running programme, which was infuriating, to say the least. I stuck to it though and slowly, as the weeks passed, I became fitter and stronger, eventually daring to test myself on a race course once again. Following a successful return to ultra running at Race to The Tower, I was so happy to be able to stand on the start line of Lakeland 100 at the end of July. My diet was finally sorted and I was a lightest I had been for years. Just under 31 hours later I had my second finish at Lakeland hanging around my neck. While there was some disappointment, as things went a little off the rails in the final few hours, it was a finish none the less and a miracle considering where I had been just a few months before. My confidence was high, I had my diet in check and my running seemed to be back on track. I was running less than I had prior to the injury but using quality sessions, blended with a lot of core strength work, I was really seeing the benefits. The Dragons Back in May 2019 was my next focus, a race I have wanted to do for years and entered the day that entries opened back in May 2018. This was the main focus of my recovery, with my completion of Lakeland 100 a pleasant surprise but not critical to this process. During my rehab, I had decided to change things up a little after Lakeland and work with a coach for the first time. Despite being a qualified coach myself, I felt that I had taken myself as far as I could, and was keen to get an outside perspective and input into my training. I genuinely believed that I had more in me as a runner and after a brief search was pleased to be able to secure the services of my number one choice Marcus Scotney. Unfortunately, my body had other ideas and as I tried to return to running following Lakeland, old pains returned with some new ones thrown in for good measure. What followed was three months of frustration, as I tried time and time again to return to running. Marcus and I delayed structured training and eventually even races were canceled until finally, in early November, I was able to start to slowly build my running back up once again. By this point, I had fallen off the wagon again in terms of my diet. As those that read my previous article about my diet demons will know, I am a comfort eater and when things are (seemingly) going badly in my life, it is the sweet treats I quickly reach for, paired with late-night raids on the fridge. All my good work in the spring and early summer had been undone, my diet was a total mess and the lost pounds were quickly piling back on. Yoga was another big revelation for me during 2018. I would start each day with a short practice, blending this with the existing core work that I was doing. I also used this as part of my cool down after running, replacing more traditional stretching. As the year progressed, I would eventually use a short practice as a dynamic warm-up before some runs as well. It’s difficult to tell whether this really made a difference or not but I enjoy it and also find it a great way to start the day, so that in itself is beneficial in my book. As we entered the home straight for 2018, I was back following a structured plan set by Marcus. I also secured the services of Shane Benzie of Running Reborn to assess my running technique and provide some recommendations on how I could improve this. This was again something I had wanted to do for a while and as I was slowly building the distance and volume back up, this seemed like a perfect time to do this. As the year drew to a close I could really feel the benefit of the work I had been doing with both Marcus and Shane. I was now running six days a week, my speed was coming back up and I was consistently logging fifty mile weeks, the first time since earlier in the summer. My diet still needed some work but this could wait until after Christmas. I was finally feeling positive about my running again and looking forward to 2019. Looking back at my stats for 2018 (see below), it was a comparatively quiet year running wise. Hardly surprising considering for at least six months of 2018 I was injured, so doing little or no running at all. Another interesting statistic was that I spent nearly as much time on core work and yoga as I did running, something which I suspected and will be keen to continue into 2019. So that is 2018, a year with some real highs but also some real lows as well. There is so much I have learned during the last eighteen months or so and with the support of my family and the great team of people around me, I am confident 2019 will be a more productive year. As already mentioned, my number one priority for this year is fulfilling a long-standing dream of taking part in The Dragons Back race. When I started ultrarunning five years ago, I was quickly aware of this iconic race. One of the things I love about ultrarunning is how it allows you to get out and journey through some of the mountainous and more remote areas of our beautiful country. This harks back to my day’s mountaineering, during which time I spent a lot of time in Wales climbing. The Dragons Back took all those things I have loved in the last few decades and bundled them into a single five-day epic adventure down the spine of Wales. 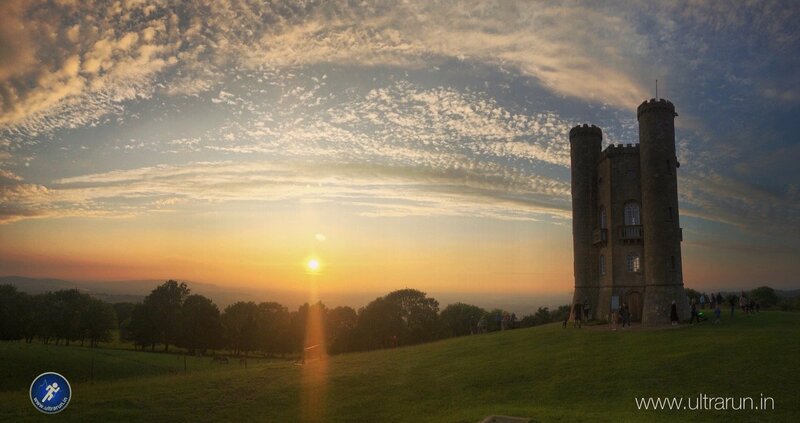 Watching the film made during the 2012 running of the Dragons Back (see below), really whetted my appetite and when the event was last run in 2017, I vowed that 2019 would be my year. Despite my injury, the day entries opened in May 2018, I signed up for the race. As I tentatively returned to running in March last year, it was this race that I set as my focus for my come back and still remains the case today, especially considering my issues after Lakeland 100. With the team I have built around me, including the 2017 winner Marcus Scotney, I think I am putting myself in the best position to have an enjoyable experience come May. I have no dreams of winning or even placing well, rather I just want to make it all the way to the finish at Llandeilo and have some fun along the way. Obviously, living in one of the flattest parts of the UK has its challenges when it comes to prepping for a race which takes in all the major mountain ranges of Wales and includes over 15,000 metres of ascent across the five days. My years’ mountaineering has given me quite good natural hill fitness but my usual approach of speed and strength work will probably still not be enough, so some creative approaches are going to need to be made. The other major challenge is that this is a multi-day event, the first I have ever attempted. Usually, after an ultra marathon, I take at least a week off to recover before running again. This time, it will be five hilly ultras back to back, so recovery and fuelling will be key if I am hoping to make it to the finish line with a smile on my face. Working with Marcus, I am hoping to gain some useful insight and guidance here. Also, I have booked to take part in the Jurassic Coast Challenge as a warm-up event, to not only get some vertical into my legs but also work on my recovery strategy, as I take on three hilly trail marathons on consecutive days. Once Dragons Back is (hopefully) completed I expect to need some time for serious recovery and it is for this reason that I have opted to not sign up for Lakeland 100 this year. This will be the first time in four years that I have not traveled to Coniston in July and it took an enormous amount of willpower not to join the online frenzy to sign up when entries opened last September. I am however happy with this decision, knowing that if I did do it, it’s highly unlikely I would be able to hit the heights I did this year off the back of Dragons Back. I will, of course, return but I will leave 2019 as the year for others to become Lakeland Legends. Last year I had a number of UTMB points which were due to expire and while my desire to take part in the full UTMB race has wained over the years, I am still keen to get back out to The Alps and do some running out there. I have therefore submitted an entry into the lottery for TDS, the new 130km route from Courmayeur to Chamonix. The results are announced later this week, after which I will know if there is another race on my calendar in 2019. If I do take part, I will again travel there with no expectations to compete, rather to just enjoy the experience and the high mountains once again. One of my key highlights of last year was finally getting my diet in check and being able to use that to make sure I was light and healthy for Lakeland. Since then I have returned to my bad old ways and I am determined in 2019 to get this back on track and stay on course throughout the year. Stress is a big part of my life and I have historically used a combination of running and poor eating choices to manage this, the later really a form of self-abuse I guess. So in addition to my diet, I also need to look into all aspects of my life and how I can reduce those stresses or eliminate them altogether. Not a lot I can say right now but hopefully, there will be some big and exciting changes during 2019 to help support this and make all aspects of my life happier and more fulfilling. 2019 will also see me fulfill another dream that I have been mulling over for a year or so, that is becoming a Race Director and putting on my first ultra marathon! 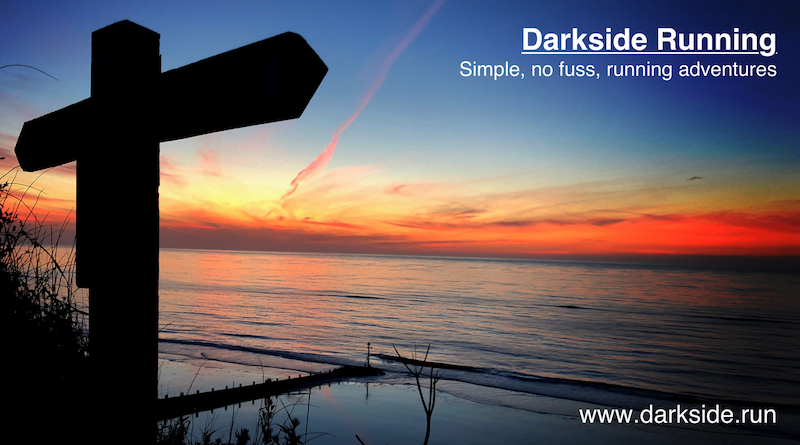 We are keeping things quite closely under wraps for a while longer but with ultra running friend Mark Turner, we have formed Darkside Running and are really excited by what we are planning for the backend of 2019. More details will follow in the coming weeks. If you would like to be the first to hear about our plans, visit our website and sign-up for our newsletter or follow us on Facebook, Twitter or Instagram. Finally, what about this website and the various social media channels and other platforms that I write content for? Well this year I would like to be more consistent, particularly on here. 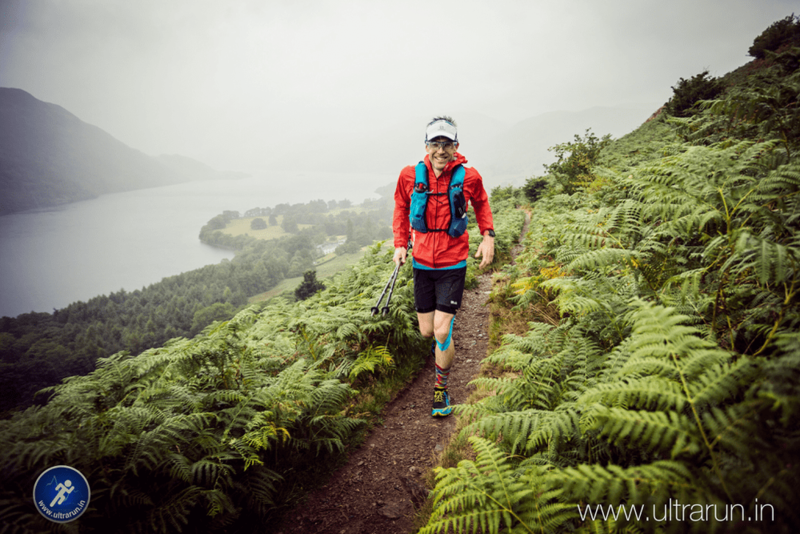 Looking back over recent years, my articles tend to be mainly focused around my ultramarathons, the various kit reviews I have done here, on MyOutdoors.co.uk and other sites, and more recently, updates on my injuries. This year I would like to become more consistent at writing, a process that I enjoy a lot. This will require me to come up with content ideas which I can keep shorter, a few of which I am playing with. I toyed with challenging myself to write something once a week and I while I may still do that, I do not want to put myself under additional pressure. See the previous section on stress! Expect, therefore, more regular content, maybe of a different style and also using different mediums, as I toy with getting more into video and also podcasting. Watch this space! There are a book and a long distance running project that I have been toying with for a couple of years now. Something that is personal to me but may also be interesting to share with others. While 2019 won’t see this completed, I am keen to move this out of my head and into the advanced planning stages, maybe for 2020. For now, let us just call this one simply “Project Giles” until I think of a better name. Once again, watch this space! So there we have another navel-gaze back at last year and look ahead, as I try to outline my plans for 2019 and what I would like to achieve. Make plans to turn Project Giles into reality! As always, I am looking forward to what the year brings running wise, the adventures to be had and hope to meet many of you out on the trails. A happy new year and all the best for 2019!